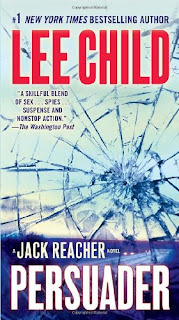 Now that I have read several books in the Jack Reacher series, it is hard to believe I have yet to review one. But it's true! 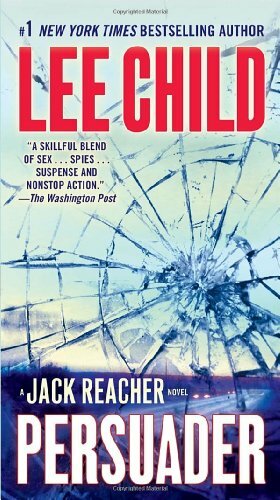 This series is immensely popular, but I had never heard of Lee Child until I caught my mom reading one of his books. Then I got a bunch of them free from my aunt! So in case you are like I was, here's the skinny. Jack Reacher is a drifting ex-army MP who goes around finding trouble and setting things right. 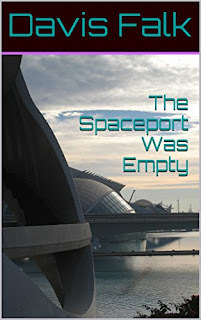 He usually leaves a trail of busted-up bad guys and not a small number of bodies in his wake. He makes his own rules, but he does have rules. Persuader is the seventh book in the series, and was first published in 2003. 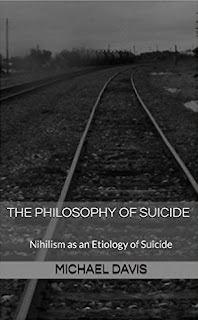 I found it more interesting than the other two I have read. They were set in the plains states, this one is set in New England. Jack gets involved in a DEA operation in order to settle an old score against a soldier-gone-bad who killed Jack's partner. He infiltrates a bad guy's household, which contains even badder guys, and others whose badness Jack has to determine in the course of the story. It's an operation gone bad, and gets worse. Jack's character is fairly easy to understand. He likes to keep things simple. He's confident. He doesn't use bad language, because he doesn't have to. That's something that is particularly refreshing to see in a novel. This story will keep you on the edge of your seat to the very end, which is exactly the thrill I got from Worth Dying For, the fifteenth book in the series. You don't know what the bad guys are doing or who is in charge. And you don't really know if Jack will achieve his goal and get the bad guys. Only one thing is certain. When it's all over, Jack is moving on, and you won't know where he's going until you read the next book. Lee Child is a Brit who lives in New York, which is conveniently close to his publisher, Dell/Random House. They must find it difficult to keep the presses running fast enough. He has written twenty-one Jack Reacher books in nineteen years, and contributed short stories to several others. He writes faster than I can read!